It is time for Family Dedication on March 3rd. 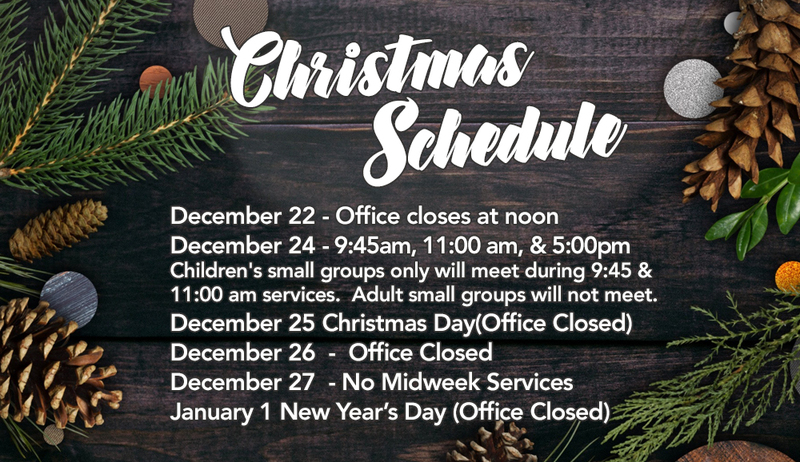 Christmas services this year will be at 3 different times. All services will be identical. Christmas at First is a new, exciting event for the whole family. From the time you step foot on our campus you will experience the joy of Christmas! Christmas At First - Wednesday December 12th from 6:00pm to 8:30pm. If you would like to volunteer please click here! There are many placed we need help including Games, Jumps, Food, and more. Thank you for being willing to serve! June 24th will be our official first service in the new Worship Center. If you registered for Kid Week last year online, please use the same email and password so you don't duplicate in our system. On February 18th, we will observe the Lord's Supper in the service. It is time for Family Dedication on February 25th. Looking for something exciting for the whole family during this holiday season? Take a break from the mall. Stop staring at those packages, and come chill with us at the coolest party this side of the North Pole. DON'T MISS JINGLE JAM! One of the greatest ways that we can expand the Kingdom of Jesus is through Stewardship. We are excited to host Joe Sangl on our campus Sunday morning August 13th in all three services. Joe will be Discussing Biblical Principles of stewardship and how FINANCIAL FREEDOM is possible for us all. That afternoon at 5:30pm, Joe will present his "I Was Broke, Now I'm Not" workshop. This is a free event and includes materials, dinner and childcare for babies through kindergarten. Registration for - I WAS BROKE NOW I'M NOT. Is Closed. Kidweek Begins June 26th, and ends with our family Experience Friday, June 30th.